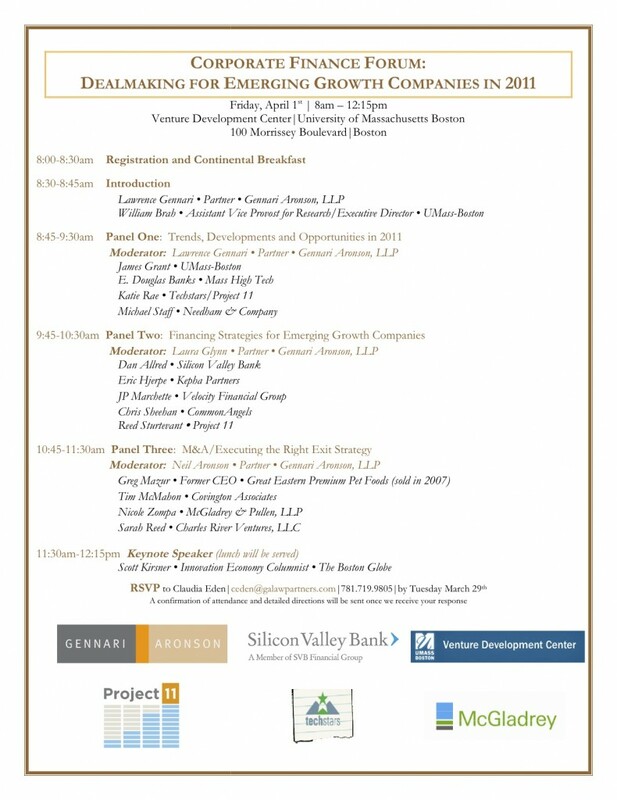 Join us April 1st at the Venture Development Center in Boston for “Dealmaking for Emerging Growth Companies.” Sponsors: Gennari Aronson, Silicon Valley Bank, McGladrey, Project 11 and TechStars. Learn from leading investors from Boston how the sources of funding available to grow your business are changing. RSVP by Tuesday March 29th, to Claudia Eden, Gennari Aronson, 781.719.9805. A confirmation of attendance and detailed directions will be sent once we receive your response.